Places to see in Chandpur: A very clean and lonely beach is what you would love to see in Chandpur. There is something about lonely beaches – it gives you the feeling of “owning the horizon.” The eerie looking stumps bordering the beach and the feeling of being “one of the firsts” to reach a virgin beach is just enough to persuade any traveller to pack his bags this weekend. Surely! Visiting Chandpur now, will make you feel like Robinson Crusoe. 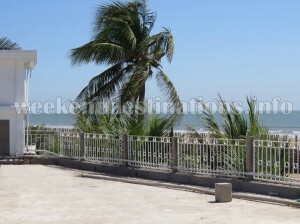 Nearby attractions of Chandpur: The major beach destinations like Digha, Shankarpur, Tajpur, Mandarmani, Talshari are all within 30 kms of this new sea beach destination. You can also take day trips to other nearby deserted beaches like Bankiput and climb the 96-feet high Dariapur Lighthouse to catch a panoramic view of the sea and land. The Deshapran Fishing Harbour located at Petuaghat at the confluence of Rasulpur River and Bay of Bengal can also be a part of your day-trip itinerary. 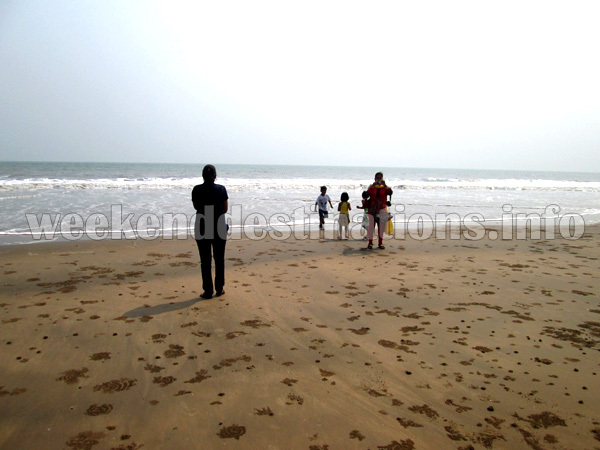 Things to do in Chandpur: Walk, run, play and chase the mud crabs on the beach. Try building sand castles with your children and take a dip into the waters. The best part! No other tourists to make you feel guilty of your madness. For peace – stay at Chandpur, for some shopping experience – visit nearby Digha and for some excitement – visit nearby Mandarmani to try your hands on some adventure sports like Paragliding, Kayaking and Zorbing. How to reach Chandpur: If you are going by car, then you have to take the road to Chand pur before entering Shankarpur. 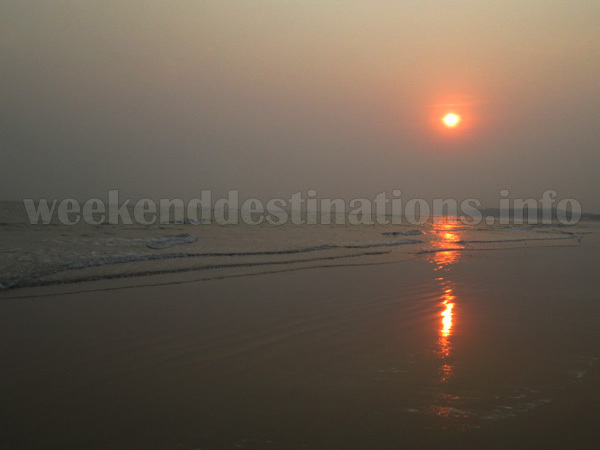 If you are coming by train, then come to Digha Station and take a trekker to Chand pur. Best time to visit Chandpur: You can visit the place anytime of the year. The monsoons bring the rolling dark clouds over Bay of Bengal and the winters give a sparkling weather just fine for your long walks over the beach collecting sea shells. Lodging and Food at Chandpur: A newly-built resort with 12 Double Bedrooms facilitated with all earthly comforts like air conditioning, cushy beds, televisions, attached western bathrooms, a lush lawn and a fabulous terrace facing the sea will make your stay quite comfortable. Other simpler services like car rentals for day trips and generators for electric breakdowns are also available in the resort. 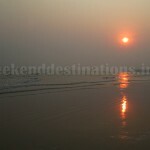 The food served in the resort is necessarily sumptuous Bengali cuisine.